Home GARCIA LORCA FEDERICO. LA CASA DE BERNARDA ALBA. TEXTE EN ESPAGNOL. LA CASA DE BERNARDA ALBA. TEXTE EN ESPAGNOL. 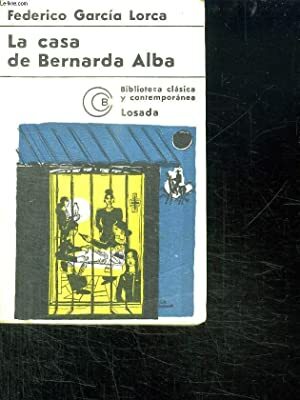 Title: LA CASA DE BERNARDA ALBA. TEXTE EN ESPAGNOL.